Obviously, we do not post the full names of our clients with their reviews. We will however facilitate a way for you to speak directly with someone who has had work performed by us recently. I discovered a small amount of mold in my crawlspace and called Mold Solutions. They were very quick to come out and thoroughly examined the entire crawlspace. Rich (owner) was very friendly and knowledgable. I was getting a new HVAC installed at the same time, and they were happy to work around the hvac company. All of the workmen were great, and they even worked on a Saturday to get everything done. The end result was fantastic and exactly the price quoted. Removed all the debris, old insulation, and vapor barrier. I couldn’t be more pleased with The Mold Solutions Group. They were responsive to my call and being new to the area and crawl spaces, they were willing to come and educate me. They arrived early in the morning to do the job and were able to complete it in one long day. They cleaned up the area before leaving. The men were pleasant and hard working. The crawl space has been transformed. They evaluated the situation in our crawl space, reported what he found and explained what could be done to remedy the problems. The job involved treating the mold. The vapor barrier and lost insulation were replaced. The work crew was very timely and thorough with their assigned work project. Everything was completed on time and their cleanup was top notch. Removed and disposed of all vapor barrier, insulation and any debris. Remediated all affected areas of the crawlspace. High humidity in my crawlspace had resulted in condensation that resulted in some mold growth and loss of some insulation. I got a very quick response to my initial call. The company staff evaluated the situation, developed a plan to address the issues, and performed the work. Subsequent actions — inspection, provision of an estimate, the work itself, and follow-up — were performed promptly and when promised. We received quick and courteous responses to all of our questions. The estimate was accurate, and the costs seemed reasonable. Overall, we had a really good experience with this company and would not hesitate to recommend them to any other homeowner. Our crawlspace sustained severe water damage during a rain storm. 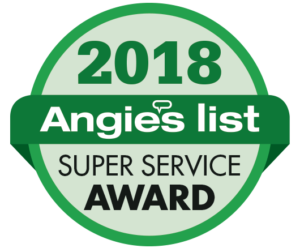 After a visit to Angie’s List, we contacted the Mold Solution Group. Rich came for a consultation the following day. They were professional and knowledgeable about moisture and mold problems in crawlspaces. They gave us a detailed plan of action and included us in making the decisions. We were pleased with their work and professionalism and appreciated their follow-up calls. Removed and disposed of vapor barrier, insulation and debris. Remediated crawlspace using EPA registered fungicide mildewstat and disinfectant. They were highly professional. They were always on time and the quality of their work was excellent. There were three technicians working on the project and they completed the service in about four days. Removed the original insulation that had mold on it and installed new insulation. Went EXTREMELY well. No issues to speak of here. I would highly recommend Mold Solutions Group to anyone that needs an inspection or needs mold remediation or preventative services. They do a great job and have the customers best interests in mind. I worked closely with Rich who kept me informed of their schedule and the various options they had. Rich was very busy with other jobs but we worked out a couple days to have the work performed. They will follow through with their work. The work is high quality for the right price. We had another contractor that needed to perform some plumbing work in the crawlspace. Their first comment was – “this is one of the nicest crawl spaces I have ever worked in. It’s dry! Performed a mold inspection of our house including the interior, exterior, and crawlspace. Discovered mold in the crawl space which was caused by various issues including insufficient vapor barrier and poor ventilation. Love these guys!!! I am extremely pleased with the services provided from the time that I scheduled the appointment to completion of services to final payment. Jeff visited my home within 72 hours from the time that I called to scheduled an inspection appointment whereas other companies informed me that they could not come to my home for 3-4 weeks. While Jeff was at my home, he provided a wealth of information about possible causes and solutions for the mold growth in my garage, shed, and crawlspace. Plus, he informed me about products that I could buy in the event that I wanted to fix the problems on my own and save money (who does this!!!!!) Also, he was willing to provide alternative options and quotes to help us stay within our budget rather than pushing his own agenda or trying to “sell” us on a specific plan. I felt like we were in a partnership together rather than a business deal. It was Jeff’s forthrightness and honesty that influenced my decision to choose Mold Solutions. I knew that I would be in safe hands and treated fairly based on my face to face interactions with him and direct, honest conversations with Rich. Plus, Mold Solutions was the ONLY mold remediation company on Angie’s list willing to inspect my home for free. Jeff and his team completed the work within 2 weeks time from the initial assessment! Amazing! I am extremely happy with the work. The garage and shed are free of mold with no signs of return. The piping for the dehumidifier for the garage and crawl space are situated so that they blend into the landscape rather than creating an eye sore. The crawl space is amazing!!! I am extremely happy that we decided to install the closed vapor barrier system. The air quality inside our house and in the crawl space no longer smells musty. My husband and I were able to enter our crawl space with no fear of running into rodents, crawling through stale water puddles, or having insulation rain on our heads. We actually hung out under the house and talked while enjoying the clean, moisture free space discussing how we could use this space for storage now. When it came time to pay, I asked Rich about moving the dehumidifier in the garage to a different location. Before he would take my money, he made sure that his team could perform this service….again who does this!!! The price quoted was the price I paid. There were no hidden costs or mark ups. I would recommend their services to all my friends, family, and coworkers. Plus, they would be my first call if I need similar services again. Removed mold in the shed and garage plus installed a dehumidifier in garage piped to the outside. Removed mold and installed a vapor barrier, new insulation, and dehumidifier piped to the outside plus sealed the vents in the crawl space. The Mold Solutions Group team remediated severe dampness and mold in a cramped crawlspace and improved drainage away from foundation on two sides of house. The job was completed in few days even though work had to be coordinated with necessary plumbing repairs and rescheduled around two severe weather events. Underfloor insulation was removed revealing a 15 by 15 foot water stained area in the sub flooring. My plumber was called to locate and repair the source of the water leak while Mold Solutions continued their remediation in other areas not impacted directly by the leak. The gravity type water leak was located at the laundry room drain and repaired. Then mold was removed and retardant sprayed onto exposed under flooring and wooden joist. HVAC ducts were inspected and air ducts/joints sealed before new insulation was installed between floor joists. A 10mil. plastic barrier was then laid covering the earthen floor in the crawlspace. Outside vents were sealed and a 70 pint dehumidifier was installed to control any recurring high humidity events. Landscaping was performed on two sides of the outside foundation to direct further moisture away from the foundation and crawlspace. NOTE..Work had been interrupted on two occasions by severe winter weather, but the crew was able to reschedule the remaining task as soon as the weather cleared. The Mold Solutions Group has done a super job remediating the severe mold/ dampness problem in my cramped crawlspace. They coordinated well with the other contractors and approached each task in a “knowing, not learning” manner. I sensed immediately that the crew members knew what to do and had experience working together; an important indicator for me as to the quality of work that they were capable of doing. I am more than pleased with the high level of service and the bang for the buck…all pluses. Special thanks to Brian and his entire crew! I used the services of The Mold Solutions Group. They came and did an inspection. They were looking at a mold problem we were having in our downstairs bedroom and recommended that it needed to be fixed. They thoroughly went through the solutions with my husband and even came back and looked at the problem once my husband was done with the drywall repair. They were very helpful and professional. The Mold Solutions Group did not charge for any of this service. It was a pleasure to work with Rich and his team. They were professional, punctual and provided a high quality service. I am completely impressed that Rich answered my call at 6:30AM. His advice was terrific and the problem I described did not warrant his services. Even so, he was generous with input into solutions. Member Comments: Great. Not only was I relieved not to have a critical issue, he gave me a solid list of next steps to remediate the problem. While I hope never to have a problem that requires his company, his will be the first number I call. They arrived exactly on time with a smile and a firm handshake. We spoke for awhile as I described my concerns about possible mold issues I was having. He described a variety of mold scenarios. I asked more questions which he patiently answered before we even walked in the house, because I was certain I smelled something around the lower cabinets in the kitchen. He said that most of their work was usually outside under the house but he happily came in and closely checked every nook and cranny, on his knees with a powerful flashlight. Within a few minutes he located a wooden set of bowls, deep in the back that indeed had some green growth on them. It was apparent that it was that which had been causing the smell inside that concerned me. It was a simple task to dispose of them. I was embarrassed, he simply smiled. Then he suited up and proceeded to work his way through heavy undergrowth in my overgrown, neglected back yard, to the small entrance to our crawl space. After quite some time I actually called to him to make sure he hadn’t been attacked by snakes or some deadly creature. He assured me he was fine. Once he reappeared from the crawl space, he explained to me exactly what his findings were and the options I had to fix the issues if I chose to. I explained I was planning to put my house on the market and wondered what he thought I should do. Without concern for selling me his services, which was exactly what sold me on the type of people I was dealing with, he admitted that I could simply disclose my findings to the prospective buyer and they could choose to handle the problems as they saw fit. There were a few different ways to handle the findings so why not give the new owners the option of choosing the path they chose to take. I did ask for a written quote to have on hand for either myself or the Realtors to have on hand. They happily obliged. I have nothing but good things to say about every aspect of the interactions between myself and The Mold Solution Group. I would highly recommend them to anyone who feels the need or simply for peace of mind. The process with The Mold Solutions Group was wonderful! They were able to do the work when we needed it, had excellent communication with us, and were prompt each day. They cleaned the area each day also. We were very impressed with their on-going communication and the quality they put into their work. They strive to make sure their customers are satisfied, and we definitely were! The inspector, perhaps the owner of Mold Solutions, was basically on time (we had a deluge that morning). I showed him the problem (the mold) and he took it from there. In less than 30 minutes he had assessed the problem.I have a mold problem, but not the kind of mold that is an urgent threat to one’s health. He explained that the kind of mold I have is common to N.C. Triangle. He said he would recommend DIY rather than professional treatment; it would be cheaper and get the same results. That’s what I call honest. He told me what to purchase, including the type of dehumidifier. This is the kind of service I want when I call for service. Reasonably priced. Effective. Honest. Quality service. Because of this Mold solutions will be the first business I call if I have a mold problem in the future, and I will recommend them to anyone I know who has a mold problem. Now, I just need to actually follow Mold Solutions recommendations. The provider checked to determine the level of my mold problem and the possible source of it. They installed a drainage system under my house, which included extensive gravel, drains, sump pump and moisture barrier. Took approximately 2 days to complete.Had sufficient staffing to execute promptly and effectively. Cleaned up after themselves; left the property in good shape. Installed interior waterproofing system. This included a drainage system similar to a French Drain that feeds into a sump basin located at the lowest point in the crawlspace. Very responsive!!! Excellent job. ABSOLUTELY recommend this outfit!!! They did a great job for us. Even followed up after the work was done to make sure all was STILL good. We had a great experience with the Mold Solutions Group. They were extremely attentive, professional, timely and were able to remediate our mold problem within days. Rich was extremely accommodating and helpful. I highly recommend working with them. They did a great job. They went above and beyond. They gave recommendations. They found the problem, dehumidified, and fixed it really quick. This company is well run, very punctual, hard working and professional. My toilet leaked through the floor about six months ago and I just found that I have a 2x3 foot section of mold under the floor boards. I had already planned to remove the tile and cut out the plywood because the tiles became loose. Called Rich this morning and expected him (any contractor) to say this is a big, expensive problem. Instead he was very friendly and outgoing and said that I can clean this mold problem myself. He actually gave me the name of two products from Home Depot that I can use myself to clean it up. He said to just keep an eye on it over time. Also, said to use a an N-95 mask and not to use bleach. Based on the reviews I’ve noted on Angies, I reached out to The Mold Solution Group regarding concerns I had related to mold in my house. I spoke with Rich regarding these concerns, and was extremely impressed by his overall professionalism and expertise during our conversation. During the phone call he took time to understand the problem by asking probing questions. Based on the information provided, he was able to recommend trying some DIY / alternative solutions prior to me getting him further involved. None of his suggested solutions will require his services, and as such, I was very impressed with his honesty and his customer-first attitude. Thank you Rich for your time. And if needed, I will absolutely be calling you again. I was given advice over the phone regarding a small patch of mold, why it might be there and how I could take care of it. In fact the conditions suggested were exactly what was happening. I was very impressed by the professional and open discussion of my situation, the free advice that was offered. After the holidays I will be contacting the service for another issue regarding our home. I strongly recommend the company based upon this experience and recommend that individuals with mold problems use this service. On July 8 the Mold Solutions Group started working to remove some mold, replace insulation and vapor barrier and install a dehumidifier in my crawl space. They arrived on time and completed the work in a timely manner. They were friendly, efficient and professional. The job cost $4900 and was money well spent. They removed all items from crawl space, remediated existing mold, replaced vapor barrier and installed new insulation. When they were finished they returned all stored items to the crawl space. It went great. I was coming off a bad experience with my heating/cooling contractor, and Jeff was a pleasure to work with. I would not hesitate to recommend these guys and would most definitely hire them again if the need arises. If you have an issue with mold, this is the first call you should make. Rich returned our call in minutes asking for pictures. He came along side of us and worked with us through the whole process of cleaning mold in the crawlspace, under floors in the house, and from a couple water leaks. Rich was never pushy. He advised us on things that we could do (instead of paying someone else) and how to do it to save money. He went so far as to suggest we combine the mold remediation in the crawlspace (that his company was supposed to do) with another job with another vendor figuring combining the work with the other vendor would save us money. I always felt that Rich had our best interest in mind when we talked and planned. Rich made an overwhelming situation much easier. His staff was all great and knowledgeable as well. I highly recommend this company if you have mold. I found mold in my bathroom and was concerned about how to get rid of it. These folks were great at helping me deal with it over the phone. I sent pictures from my phone and we discussed it and I was able to avoid the expense of having them come out and replace drywall, etc. They were honest, responsive and didn’t charge me for something I could do myself. I would recommend them to anyone who needs this kind of work. The problem worried me and they were able to calm me and take me through the process of taking care of it, step by step.